Variables are the most important things in programming. They let your program remember information. Variables can store someone's name, their age, or even their favourite food. Variables simply point to a space in memory, where the data is stored. At various points along this route, the variable will be used. Sometimes, you need to store data that doesn't change - these are known as constants. They are created in the same way, but can't be changed. In Python, it is common to write the name of constants in all uppercase. Data types are very important, as they allow the program to have rules: if you add two numbers together, the program should do some maths, but if you add two words together (concatenation) the program will just make a new sentence. String - words, letter, sentences. Defined using speech marks. Python also lets us perform various actions on Strings. Remember, Strings are just lists of characters. It's also possible to access parts of a String using array square brackets. Selection is the ability to make a decision. It allows us to do different things, depending on what information is in a variable. # if they are 18 or over, print "You can vote"
To compare things we use standard operators, just like in maths. Being able to do selection (make decisions) on its own is nearly enough. However, if we want our programs to be really useful, we want them to be able to repeat stuff. This does exactly what it says on the tin - we can store lots of information all with the same name. If you have 100 books, you don't want to make 100 variables to remember all the names. pupils [ 2 ] = "Kimberly"
sentence = ", ".join(pupils)    # makes the String "Edd, Clive, Kim, Kat, Tim, Tam"
A modular program is made up of lots of separate parts (modules). Each of these should work independently of the others. In Python, we achieve this by writing functions. Python has lots of built-in functions that you might have met already: print(), input(), int(), str(), len(), round(), etc... These work by themselves, without needing to be changed. You simply give them some information to work with, and they (sometimes) give you some information back. This function is called myFunction, but it could be called anything (except for the built-in function names or keywords). Whenever you tell your program to do myFunction it should print the two messages inside. A more detailed example might be for when you want to keep repeating the same things again and again. It is not a good idea (or any fun) to keep typing the same stuff again and again. Sometimes a loop can solve this, but other times it might not be enough. r - opens a file for reading. w - creates a new file for writing (overwrites existing file). a - opens a file to append to (will create a file if needed). This will create a list called myList, with one entry for each line. Defensive programming is a way of designing your program, so that it will continue to work, even when unexpected things happen. Defensive programming can sometimes go too far - you shouldn't try to prevent errors that can't happen, as this could slow your program down, and make it harder to maintain. It's also important not to be too vague, otherwise you might miss important errors, that need to be found. Generally, EAFP is preferred in Python. In this example we simply (try to) convert the input into a number - if it fails, we deal with it. Check you can do something first, then only do it if it's OK. In this example, we get the input, check it's a number, and then convert it. As can be seen, EAFP only catches ValueErrors, it will still crash if some other error occurs. But that complies with what we said earlier, we don't want to miss strange/important errors. And, in LBYL, it doesn't actually deal with any errors, but simply tries to prevent them - less reliable? 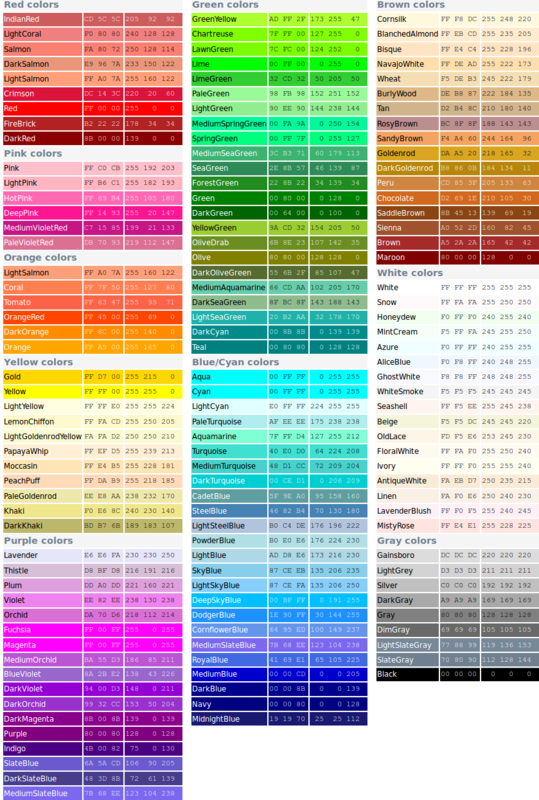 Below is a useful colour map to use when doing Turtle or GUI programming.